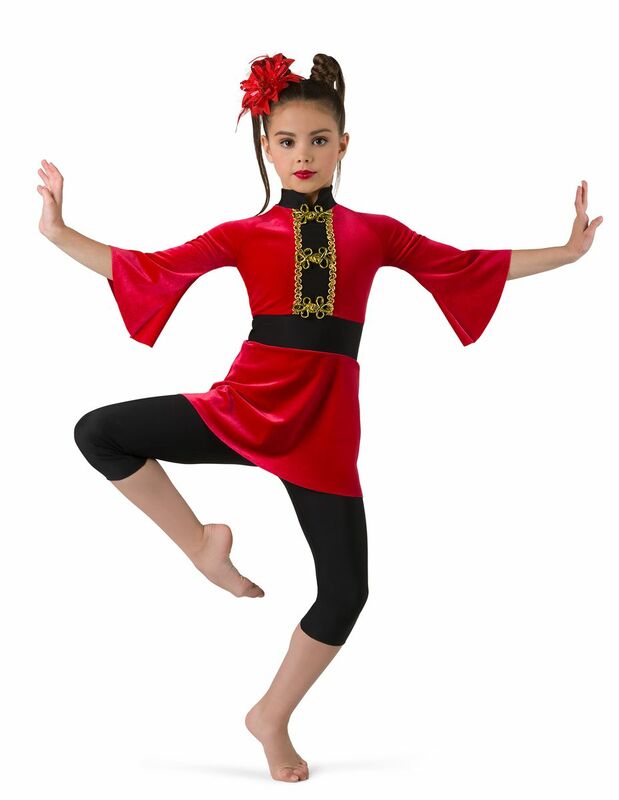 Red velour tunic with black spandex insets and keyhole back. Separate black spandex capri pants. Beadette and gold frog trim. Made in the USA.